Manchester United and their fans are in dreamland at the moment, with results coming their way, other teams slipping up, and Ole Gunnar Solskjaer working his magic on the players and their performances. The team is on a 9-match unbeaten run since the arrival of their caretaker manager, and a sense of renewed optimism is what surrounds Old Trafford at the moment. There have been leaps of improvement in the form of certain players, with Paul Pogba, Victor Lindelof, and Marcus Rashford topping that category. The English striker does seem to be benefiting the most, as not only is he a United boy in and out, but having the club’s legendary striker as his manager has made it all that better. 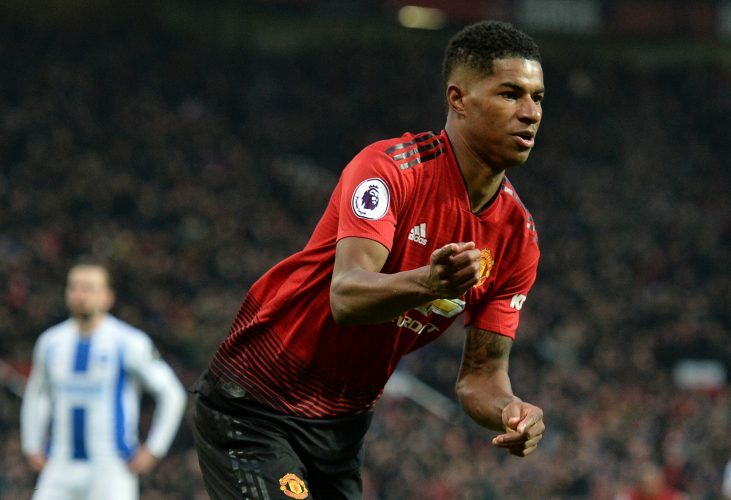 Rashford has been in rich vein of form since Ole’s arrival, and is now the primary source of goals in an attack-minded team. However, there is a slight worry that the fans and club face, as reports from The Sun suggest that the young star is being pursued by a Real Madrid side that seems fully focused on getting their man in the coming transfer window. Rashford is yet to negotiate and agree a contract extension with Manchester United, and this could be enough to welcome a £100 million bid for the striker, with a £250,000-a-week salary being part of the deal. The initial bits of this deal reportedly emerged in November, when the Spanish giants approached the striker as he grew increasingly discontent under Jose Mourinho. Times have changed since then, and the fact that he is now the main man, showered with the responsibility of finding the net, could be a challenge he would be willing to take on at home itself. A fax machine ruined a transfer deal between the two clubs a few seasons ago, but will United also need a saviour this time around?